​Hometown: West Deptford, New Jersey, U.S.
Died: November 12, 2005 in Operation Iraqi Freedom. Unit: Army, 4th Squadron, 14th Cavalry Regiment, 172nd Stryker Brigade Combat Team, Fort Wainwright, AK. A 34-year-old Army sergeant who grew up in Gloucester County died Saturday in Iraq when his military vehicle rolled over, the Department of Defense announced yesterday. Staff Sergeant Stephen J. Sutherland, who was married with two children, was due to leave Iraq next week, according to his sister, Tracy Gilman of Westville. When she broke the news to their parents Saturday, both had to be hospitalized but have since been released, she said. A few years ago Shirley and William Sutherland lost a daughter, also 34, to a mysterious illness caused by a virus. “Neither is in good health, and this has been devastating,” Gilman said last night from their home. 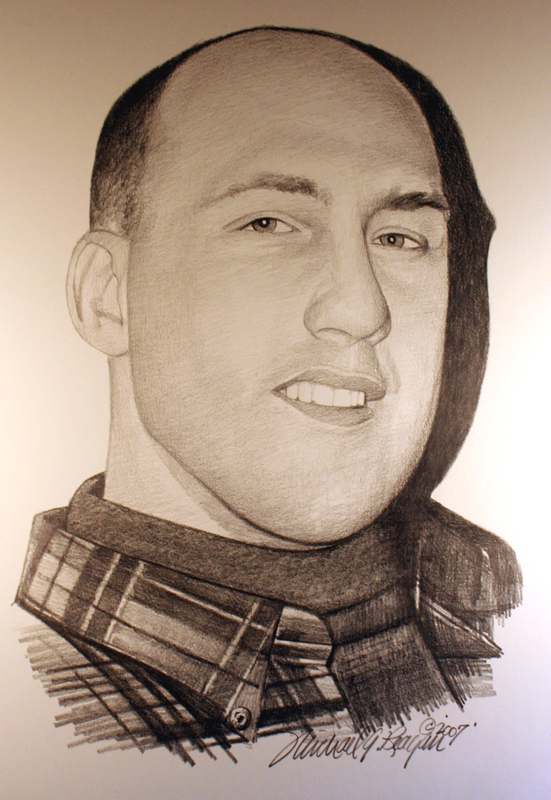 Sutherland was the 55th soldier either from New Jersey or with close ties to the state to die in Iraq. He had been assigned to the 4th Squadron, 14th Cavalry Regiment, 172nd Stryker Brigade Combat Team in Fort Wainwright, Alaska. He and his family lived in Fairbanks. Sutherland graduated from Clearview Regional High School in Mantua. He held a series of jobs but found them unsatisfying and enlisted nine years ago to find “some direction,” Gilman said. Their father is a veteran, and Sutherland “decided to follow in his footsteps,” Gilman said. Sutherland met his wife, Maria, six years ago and adopted her children. Before he left for Iraq they renewed their vows, and Gilman went to Alaska for the occasion. If he was apprehensive, he didn’t show it, she said. Sutherland, however, had asked his sister to do one thing. If something happened to him, he said, he wanted her to break the news to their parents so they would not be alone with their loss. On Saturday Sutherland was driving with two other soldiers in Qadisiya when their vehicle lost a back tire. The Department of Defense said the incident was under investigation. Her family last heard from Sutherland last week, when a letter arrived. In the letter, he did not talk about the war. He thanked his family for packages they had sent him, and told his mother that he had shared her homemade cookies with members of his unit.